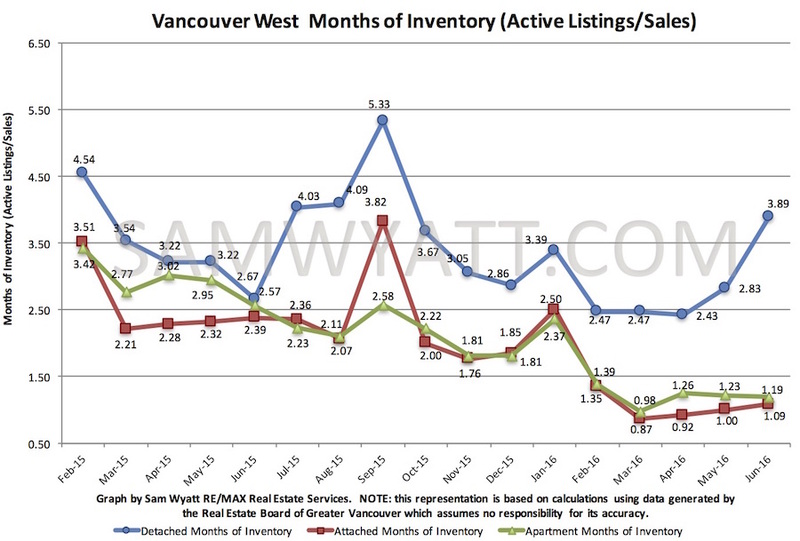 Vancouver westside Months of Inventory (MOI) has been slowly increasing since April. Emphasis on slowly. In spite of the increases, MOI remains firmly in sellers' market territory and apartment and attached homes have MOIs in the super hot market territory of about 1 month. 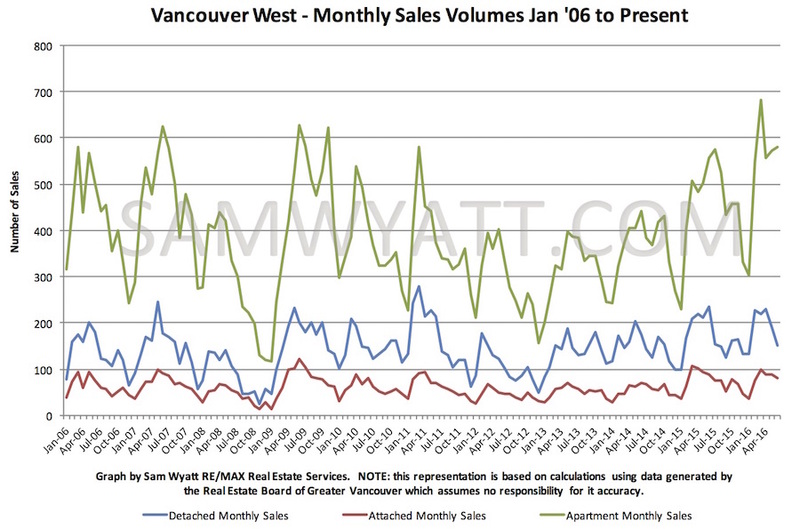 The rise in MOI is a result of sales volumes slowly dropping from record highs in March in the case of apartments and very high volumes for attached and detached homes. 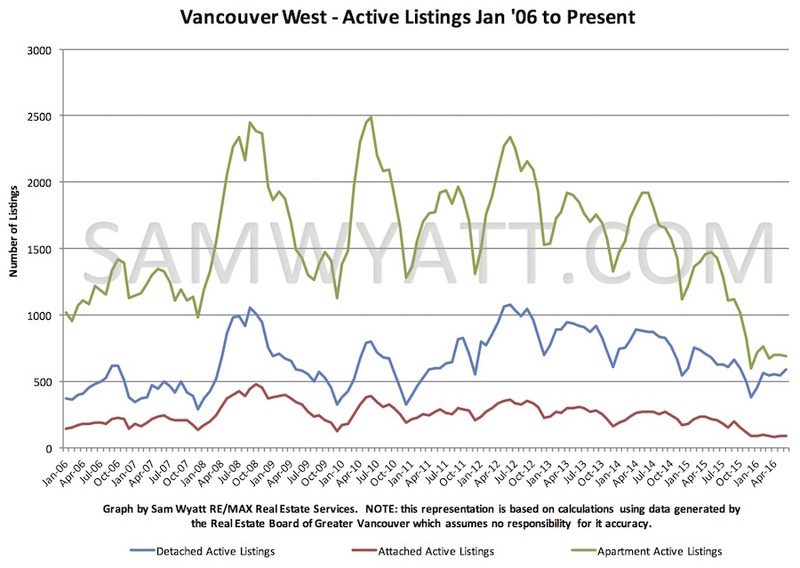 Active listing volumes have remained fairly stable since March for all home types. 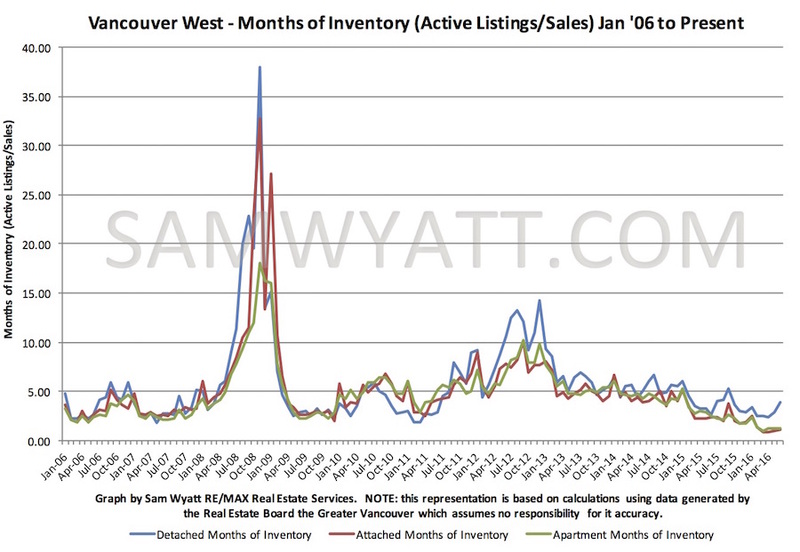 I expect to see Active listings rise through the summer as sales volumes continue to gradually fall. Best to get your home listed now if you plan to sell this year. 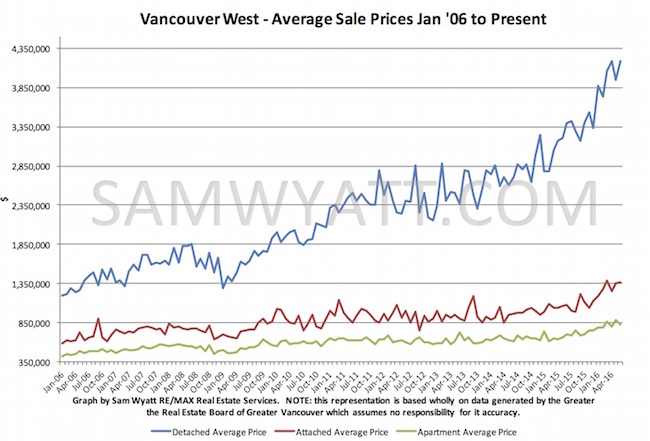 By any measure, prices in Vancouver continue to soar. 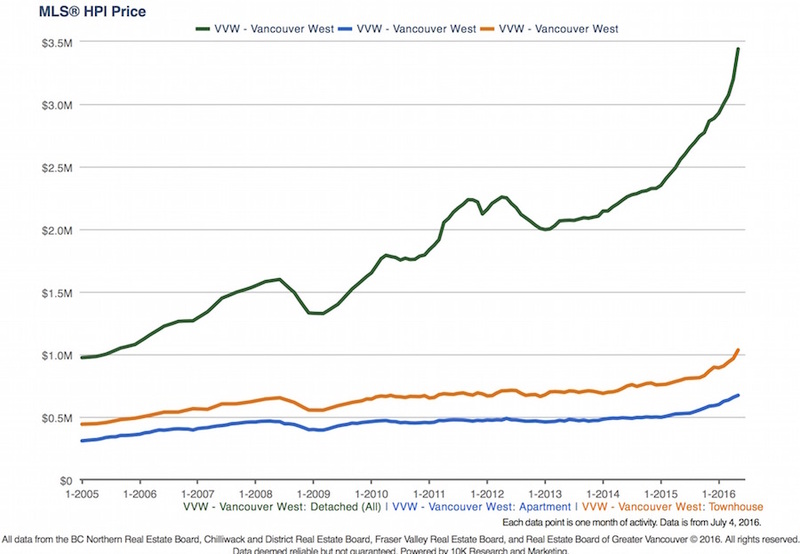 The Greater Vancouver Real Estate Board's HPI index for the Westside has the price of a "typical" detached home at over $3.4m! A typical townhome is over $1m and a typical apartment is nearly $700k. Average sale prices for Westside detached homes are just shy of record highs at over $4.1m; attached homes over $1.3m and apartments over $825k! The median price per square foot gap between detached homes and both apartments and attached homes remains well over $300/sq.ft. and over $400/sq.ft. 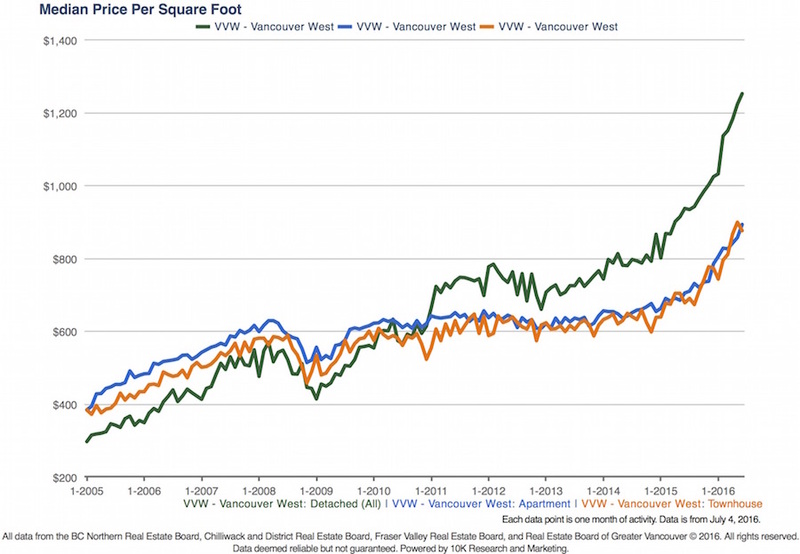 for average price per square foot. This is an ideal time to downsize out of a house into an apartment or townhome.